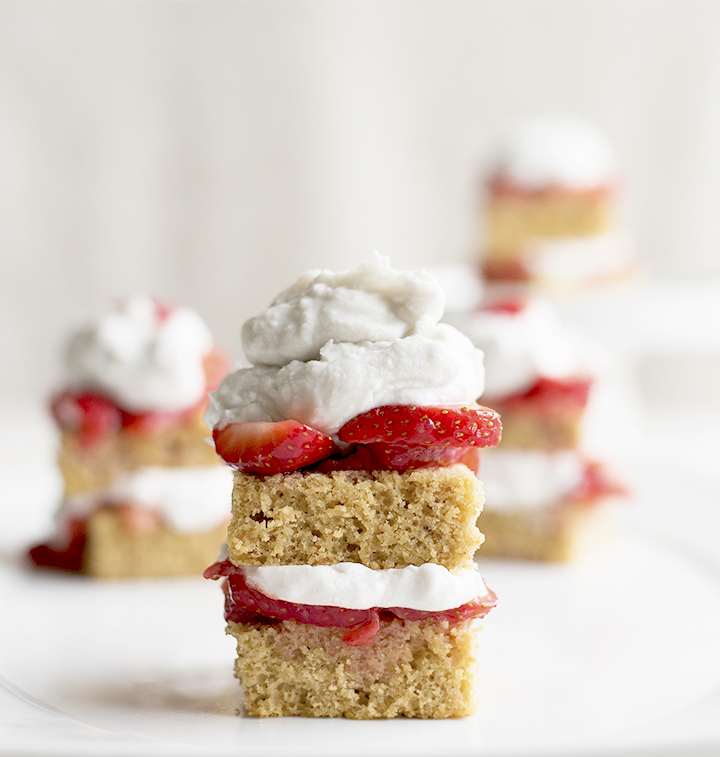 This is easily one of my all time favorite desserts on this blog! What's strange is I typically don't gravitate to strawberry shortcakes. 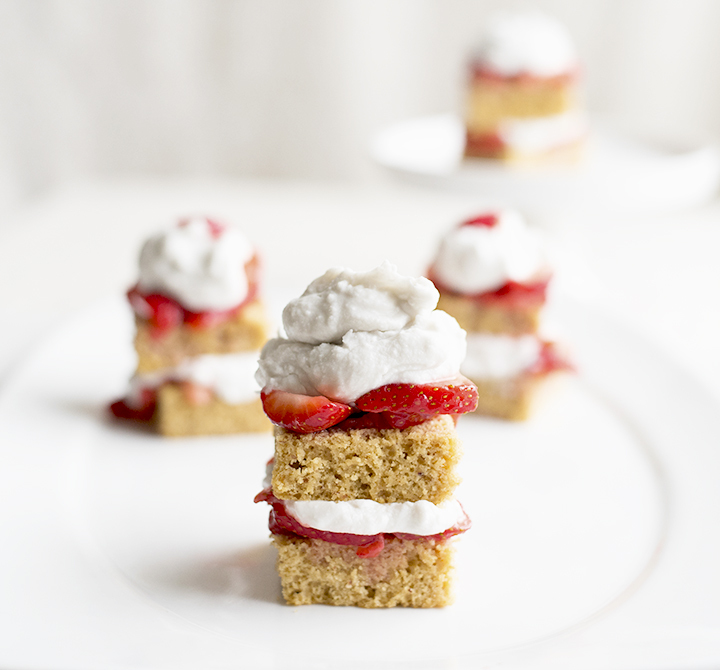 I've also never made a traditional strawberry shortcake recipe. But this treat right here is unbelievably scrumptious and tasty! 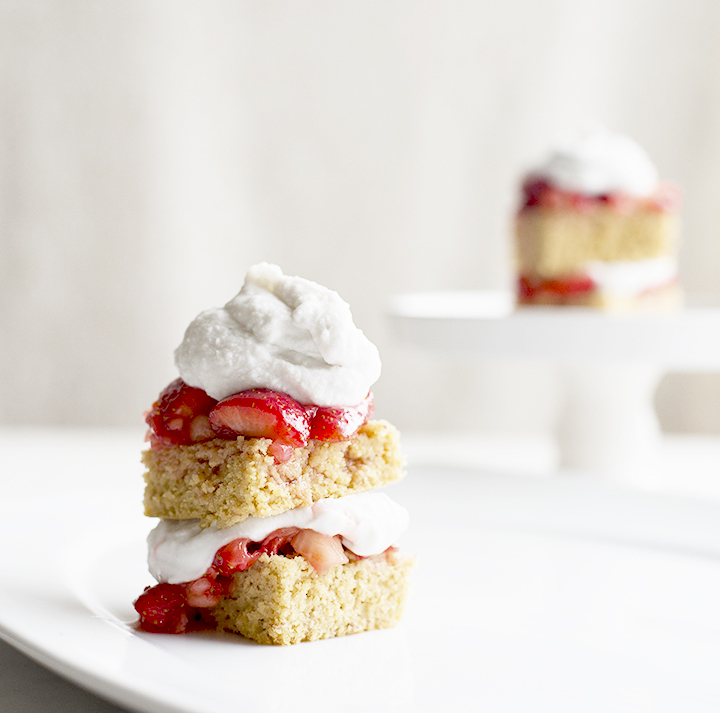 I beg you to make this dessert, whether you normally love strawberry shortcakes or not. 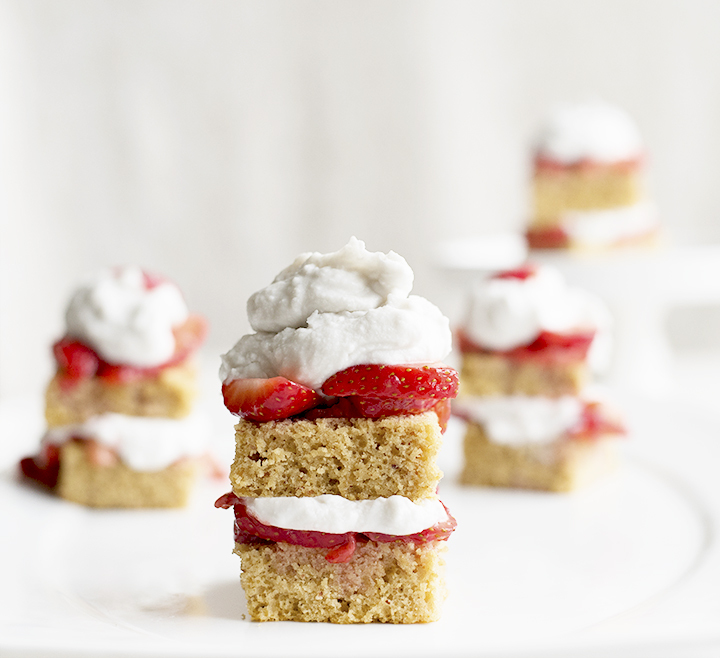 The light and spongy cake carries just enough sweetness that pairs perfectly with the sweet coconut whipping cream and strawberry "syrup". YUM! 1. Preheat oven to 350 degrees F. Grease an 8x8 inch baking pan and set aside. 2. In a large mixing bowl, sift together flours, protein powder, xylitol, baking powder, and salt. 3. In a separate bowl, whisk together eggs, coconut oil, yogurt, and milk until incorporated. 4. Pour wet ingredients into the bowl of dry ingredients and stir well until batter is smooth. 5. Pour batter into prepared dish and bake in the oven for 22-26 minutes. 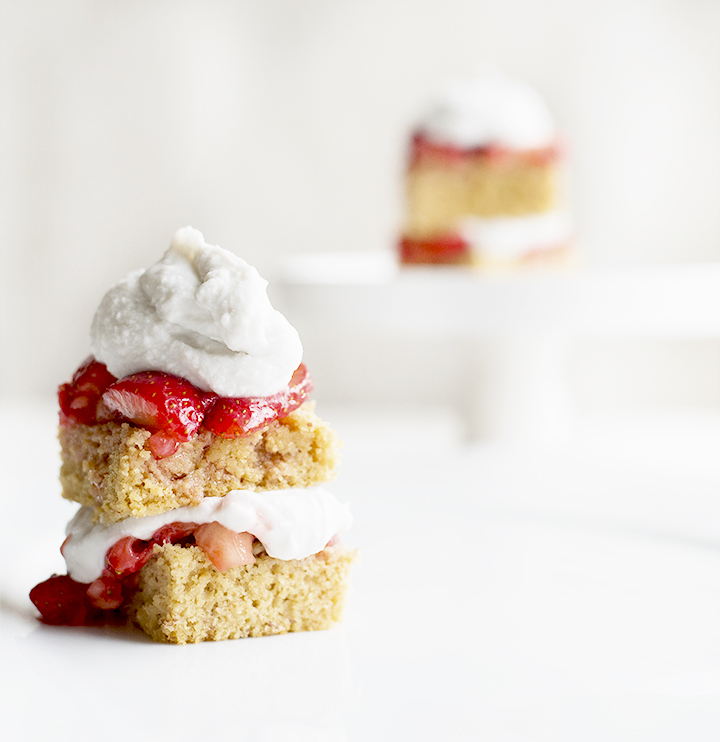 Let cake cool while preparing the cream and strawberries. 6. Spoon the solid portion of the canned coconut milk into a chilled metal bowl. Beat milk with a handheld mixer until smooth and slightly fluffy. Add vanilla extract and xylitol. Blend then refrigerate until ready to serve. 7. Mash 1 cup of sliced strawberries with the xylitol until mixture is juicy. Stir in remainder of sliced strawberries. 8. To serve, slice cake into 16 even squares. Slice each square in half. Spoon strawberry mixture and coconut whipping cream onto a square half then top with the other square half. 9. Repeat this process until 9 strawberry shortcakes are made. If desired, top with more cream and strawberries. Serve immediately.